So if King Bhumibol Adulyade is the richest, who is next? Below are the top 10 richest kings in the world. Sheikh Mohammed bin Rashid Al Maktoum's wealth was effected by Dubai's huge debt. Dubai is still trying hard to repay the debt and to recover from it. Yes, King Bhumibol is the richest King in the world. 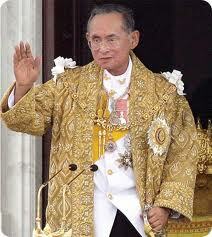 No other king is richer than the great King of Thailand. King Bhumibol's fortune is bigger, and fatter than any other king's fortune. The Thai king is a money making machine, everything this man has is better, bigger, more expensive than any other king or queen in the world. Long Live King Bhumibol's bank balance!